MAUS provides solutions that every business needs to run efficiently. Made specifically for the needs of small to medium size businesses, MAUS offers a range of “ready to go”, business applications that are simple, easy to use, and integrated into an award winning cloud based software package. Fully connected to Accounting systems such as Xero and QuickBooks so you can stay on top of your business. This is the product category for Business Planning. MAUS business planning software includes a simple step by step process to guide you through the creation of your plan, your financials and you action plan. Once the plan is published, apply the new strategies, goals and targets into the business. More importantly, MAUS software solutions will keep your staff accountable to your new strategies. A business plan could significantly improve your profitability. This is the product category for Human Resources. MAUS has a complete range of HR software, allowing you to in effect set up a virtual HR department. We offer HR software for Job Descriptions, Performance Review, and Employee / HR written policies. MAUS Human Resources tools will provide you with all the information they need to hire and retain your staff while at the same time, adhering to federal and state legal requirements. The innovative software is designed to provide you with a comprehensive set of tools to establish a streamlined approach to performance management. This is the product category for Policies & Procedures. Our award winning cloud and desktop applications will help you produce a report, plan or policy in minutes. They are simple to use and will save you 50-90% of the time to create your documentation. Basic versions are a great fit for any business, higher versions include more features for maintaining your documents, impressing auditors and passing accreditations. These solutions are more comprehensive and involve more of an enterprise solution. 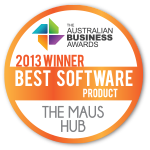 The MAUS award winning cloud based software platform can be used by any business to assist in managing their Quality, Health, Safety & Environmental (QHSE) requirements. If you are an association, institute, or a company who would like to refer MAUS software solutions to your network then look no further. This is a is a chance to to partner up with MAUS and earn recurring revenue. Would you like some more information and free resources? Instantly receive access to the free trial versions of our award-winning software, or detailed information kits and sample reports (where a free trial version is not available). 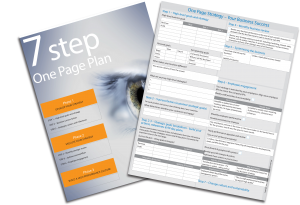 Receive our popular “One page business Plan” FREE on the next page. Simply select the product(s) you wish to learn more about and complete the form below.